The mobile payment management service Lemon Network is becoming successful, that’s no news. But the truth is that this platform can grow even more and become a great help in the world of Bitcoin. This network manages all your payment credentials from just one place, without connecting the users to just one payment processor and allowing freedom of choice. Its smart wallet provides a digital copy of your cards, so you always have a backup of your information, allowing you to safely access your cards anywhere you are. However, the Lemon Network offers a lot more services. “What began as a simple backup of the physical wallet has evolved into a platform giving users the ability to access real time account balances and fraud alerts, share transactional information across platforms and even checkout of apps with one tap”, explains the platform’s website. The service – available for Android, iOS and Windows Phone – has already gathered over three million users since its launching, mainly because it didn’t stop evolving. In the meanwhile, the team added features like receipt scanning or filters to categorize each users’ spending. 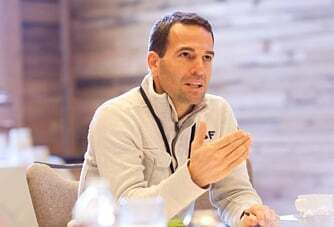 But now the company’s CEO Wences Casares wants to go further, by turning the app into the front end of a payment network that can work with several payment processors. And the best part for the cryptocurrency community? The representative wants to turn Bitcoin into a part of it. By eliminating the need to enter information manually, Lemon Network makes it easier for the users, but also wants to involve the merchants. Through the platform, businesses can directly connect with customers, allowing all of them to make part of the Lemon Network and use the wallet app. According to Wences Casares, “a merchant that participates in the network, via our SDK, has access to a simple checkout drop-in that simplifies the consumer mobile buying experience, and facilitates a one-tap payment”. Although Bitcoin is not one of the options included in the service right now, the company’s CEO says that he wants to support it soon. “Just like there only one billion fixed-telephone lines worldwide, mostly in the developed world, and the emerging world leapfrogged that technology and went straight to mobile phones, reaching almost six billion now, the same may happen with banking services”, he adds, believing that Bitcoin is a world-changing technology.